Articles on everything from entrepreneurship to technology to games to education. From there, the visualization shows how many students total have obtained degrees (“Total Degrees”), are still enrolled “In College” (combining “Retained”, “New to College”, and “Returned After Stop Out”), or are “No Longer Enrolled/Not in NSC” (combining students who dropped out or have never enrolled in college). The table beneath the chart shows how many students graduated in the Class of 2007, and the number/percent of students that obtained a degree, are still enrolled in college, are no longer enrolled in college, and who were never enrolled after 6 years. On The Unwind Podcast, two friends and I discuss topics related to tech, games, gadgets, and geek culture each week. Here is a soundbyte where we talk about the newly announced Microsoft Surface 3 and whether it challenge the dominance of the iPad. This is an extension of my post about whether the Surface 3 can replace the iPad in the classroom. 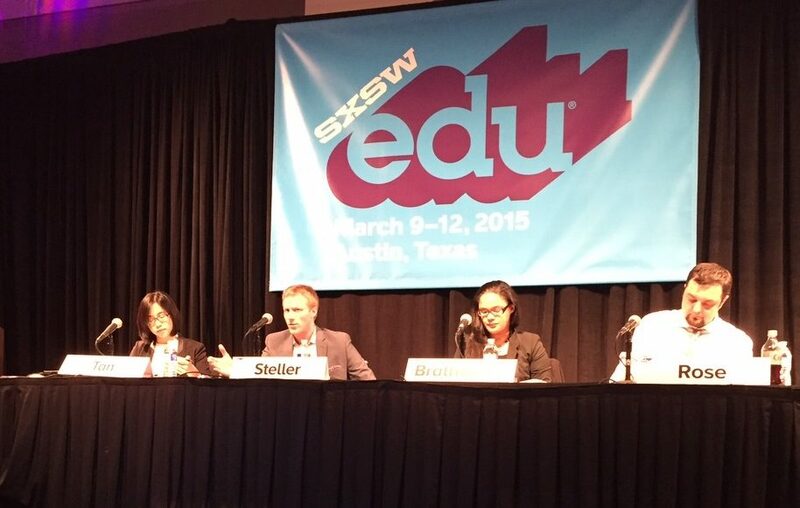 In March, I was invited to participate in a panel on the topic of Turning Public Data into Knowledge at SxSW EDU in Austin, TX. The purpose of the panel was for three Local Education Funds (Achieve Hartford!, Newark Trust for Education, and Jacksonville Public Education Fund) to present on the data tools they designed to provide the public with education related data. As the project lead for SMARTERHartford, I discussed how the project came about, how we leveraged partnerships with community organizations, and how we are using the tool to drive a deeper conversation around data analysis at the Hartford district level. SMARTERHartford provides parents with a mapping tool that allows users to search for what school options are available to them, and provides data tools to compare those school choices, helping them be more informed consumers. You can find the audio from our panel discussion above. On The Unwind Podcast, two friends and I discuss topics related to tech, games, gadgets, and geek culture each week. 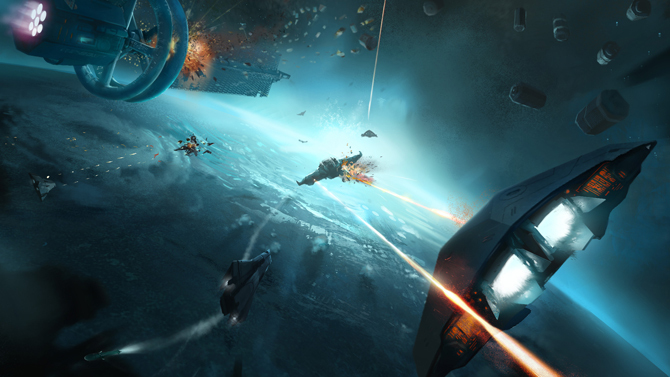 Here is a soundbyte we talk about the resurgence of space games, what space games we played growing up, and what we’d like to see as new games are released. The term “iPad killer” gets thrown around pretty frequently these days, but the newly announced Surface 3 has a pretty good shot to be the device to take that title. Previously, Microsoft had two versions of their Surface tablets, the Pro, which ran with full Windows, and RT, which ran a much more slimmed down version of Windows and, while it came with Office, couldn’t run most Windows applications outside of what was on their incredibly bare app store. 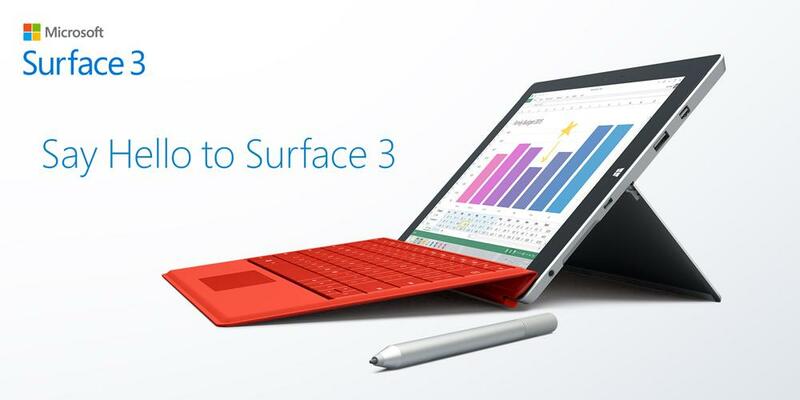 RT was a disaster, and Microsoft acknowledged that with the announcement of the Surface 3. While it will be very compelling to integrate the Office suite of apps and OneDrive capabilities into teaching practice, the Surface 3 will need the accompanying keyboard ($129.99) and probably pen ($49.99) to take full advantage. Granted, iPad still has the best marketplace for education apps geared for tablet use, the Surface 3 will have all Windows based applications available. Speaking as someone who has owned every Surface device released so far, I can say that the Surface Pro 3 and Surface 3 were the devices that Microsoft has been aiming for. Microsoft hasn’t done the best job at marketing towards teachers and schools in the past, but hopefully they see education as a market to focus on with the release of this new device. The Commentist Bloc has gotten off to a great re-launch and we are overjoyed with the positive response we’re receiving to our two shows, The Unwind, a weekly chat about tech, games, gadgets, and geek culture, and Roll to Hit, a 5th edition Dungeons and Dragons live play podcast. The shows can also be found on iTunes and Stitcher. I’ve got an exciting 7 days coming up, spanning a few different conferences. First up is PAX East 2015. The whole Commentist Bloc crew will be there to check out the latest in gaming and tech. 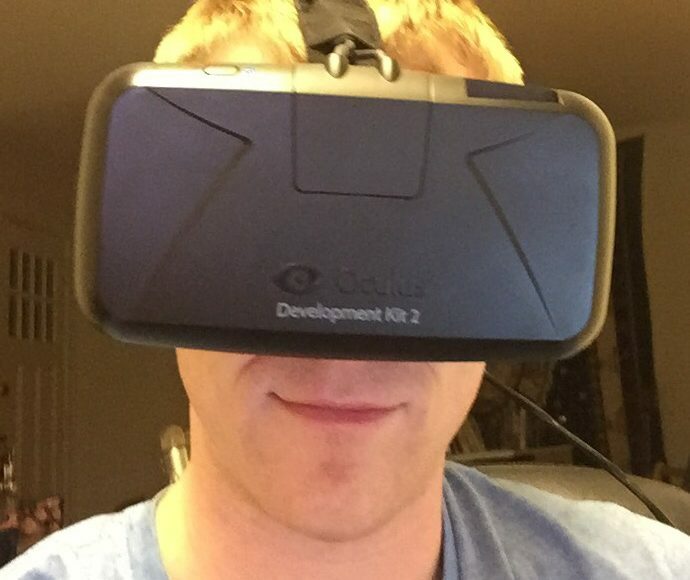 Fingers crossed we get a good demo of the Oculus Rift. Then I’ll be heading out to Austin for the SxSW EDU conference to speak on a panel called Turning Public Data into Public Knowledge, where I’ll be discussing the importance of data transparency in education and specifically how that impacts school choice in Hartford. I’ll be wrapping up my trip by checking out the SxSW Gaming Expo. So if you’re planning on attending any of these events, be sure to drop me a line to meet up and say hi! Happy 2015 All! Sorry about the long hiatus! I’ve got a couple of new projects in the works that I’d like to share! I’d like to announce the (re)launch of Commentist Bloc! This was a project that two of my close friends and I started a couple of years ago. We had originally intended it to be a community blog, but realized that it was difficult to keep a number of people on a frequent writing schedule. So we have rebranded it into a podcasting network! Our original show, The Unwind, is a weekly discussion of the world of tech, games, gadgets and geek culture. We have released our 21st episode, and can now be found on iTunes! Please be sure to check it out, leave us your feedback, and subscribe if you like it! I’ve also been busy editing the second show for Commentist Bloc, which will follow the adventures of my Dungeons and Dragons group! We have started a new 5th edition, custom campaign that my brother developed and is DM’ing, and I’ve had a number of requests to record and release our adventure. This will be launching next week (hopefully! ), and I plan on releasing new episodes fairly regularly. If you have a podcast that and you’d like to join the Commentist Bloc network, please drop me a message at robbiestells@gmail.com. Founding a startup company has easily been the most terrifying, stressful, exhausting, most incredible experience of my life. In October 2013, I made the decision to leave my job and pursue my dream of becoming an entrepreneur, launching an education software startup. I have learned a lot on my journey so far, made a ton of mistakes, met some incredible people, and hurdled countless obstacles. Ever wonder what it’s like to start a company? Join me on the highs and (many, many) lows in the Life as a Startup. One thing that I rarely seem to hear in discussions about launching a startup is the crazy legal process involved. Having no traditional business background or degree, most of this stuff was completely foreign to me when I set out to launch my company. Luckily, we have the Internet to turn to for our questions, but doing searches on how to launch a company only left me with deeper, more complex questions. Should I register as an LLC or a Corporation? How do I report this on my taxes? Do I need to get copyrights/trademarks/patents? Once you have your great idea and you’re ready to get started, where do you go next? The short answer is, you’re most likely going legal advice. There are online resources like Legal Zoom that will save you some money once you’re ready to establish your company, but it’s definitely worth the time and possible money to get some personal mentoring on what options are best for you. I was fortunate enough to stumble upon the S.C.O.R.E. organization, which provides free mentors that have significant business experience. While the two mentors I met with didn’t have direct involvement with the education technology field, they were able to school me in some basic business knowledge and referred me to a lawyer in the area that worked with startups. Since I was referred by S.C.O.R.E., I received a reduced fee, and was advised to set up an LLC. I also highly recommend talking to an accountant as well, as mine was able to explain how an LLC would affect my taxes. You have your idea, and it’s awesome! You may not have all of the details worked out just yet, but you should start to develop your business plan. This doesn’t have to be something that is super official at this point. Start by writing down the basics – What is the story behind this product? What problem does it seek to address? Who is the target user for this product? How does it solve the problem and how will people’s lives ultimately be better by using your product? Starting to write these answers down now will help you fill out legal documents and create a formal business plan once it’s time to pitch your idea and talk to potential investors. Come up with a name for your startup. I hopelessly lack creativity when it comes to thinking of names for ideas and products. What I have found is most useful is to gather together anyone working with you on the idea, and possibly a couple of other close friends/colleagues that you trust (3-6 people should be fine). Order up a pizza and spend a couple hours discussing the questions above and try to capture the essence of the idea in the name. Use a white board and write down everything you come up with. There are no bad ideas at this point! Try mashing together a couple of words if you need to, and come up with your top few choices. Google the hell out of the name. The more unique idea, the better, but most importantly, make sure no one else is using that name. You want your idea to come to the top of searches once you have your site set up. Also, be sure to search domain names (at the very least, both .com and .org should be available), the copyright database, the trademark database, and social media sites to make sure your name isn’t taken. Check to see what has a similar name to your idea as well. (It may be a good idea to run the name by some potential future users to get their impressions as well. I’ll cover customer validation techniques in a future post.) Once you’ve cleared your name past all of these, you’re good to go! Establish your startup!! Whether it is an LLC, Corporation, or another option, you’ll need register your company with the proper State/Federal agencies. Again, I would seek some legal advice to figure out what is best for you and for assistance in filling out all of the paperwork. Alternatively, use a service like Legal Zoom to streamline the process. If you’re going to be hiring employees, you’ll need an Employer Identification Number (EIN) and insurance. So far, I have brought on my programmers and graphic artists as consultants, so this hasn’t been necessary for me (Make sure you get invoiced for their work for your tax records!). Either way, it is worth seeking legal help with drawing up a contract template for work that anyone will be doing for you to protect you and your idea. If you’re starting the company with other people, establish how much equity in the company each founder will own. This can be a tricky conversation, especially if you’re starting a company with friends, but trust me, this should be established early. Equity share can change over time, but consider how much time, money, and resources each person is contributing in this process. This should be drawn up in a legal document as well. I’ve heard stories of how not having this conversation early enough can lead to some heated battles down the road. Buy the domain names, file for copyrights and trademarks, and register social media accounts for your startup. And there you have it! You have just established your very own startup! Woohoo!! It will take a bit of work and planning, some meetings, and a little money (should be under $2,000, give or take) to get you started. The knowledge on this list took me weeks, if not months, to figure out, so hopefully this will save you a good chunk of time. Once I got through this process, Stellar Learning Innovations was created, and ClassXP, the name of the software we had started creating, was copyrighted and trademarked. Research and take advantage of free and reduced cost resources aimed to help startups. This may seem like a really obvious thing to point out, but from my experience, it’s surprisingly difficult to actually locate these resources, at least it was for me here in Connecticut. I’ve found that Connecticut is a vacuum for talent and resources, which tend to move towards New York City and Boston, but it’s worth the time and effort involved to locate what’s available. S.C.O.R.E. was a fantastic resource to get me some basic business advice, and it was all for free. Since then, I found other organizations, like the State funded Connecticut Innovations and CTNEXT, that also provide free counseling and advice to startups. States want startups to continue to be established and grown locally, so I’m sure there are similar organizations in other states that can help you as well. Through some networking, I have even found some lawyers that do pro bono work with startups. In the long run, spending the time to locate these resources will save money, expand your knowledge and grow your network. Did I miss something on my list? Have your own startup story or advice to share? Feel free to send your comments and thoughts to me directly at robbiestells@gmail.com.